This work by Dora García is a performance which places the visitor at the centre of the action. 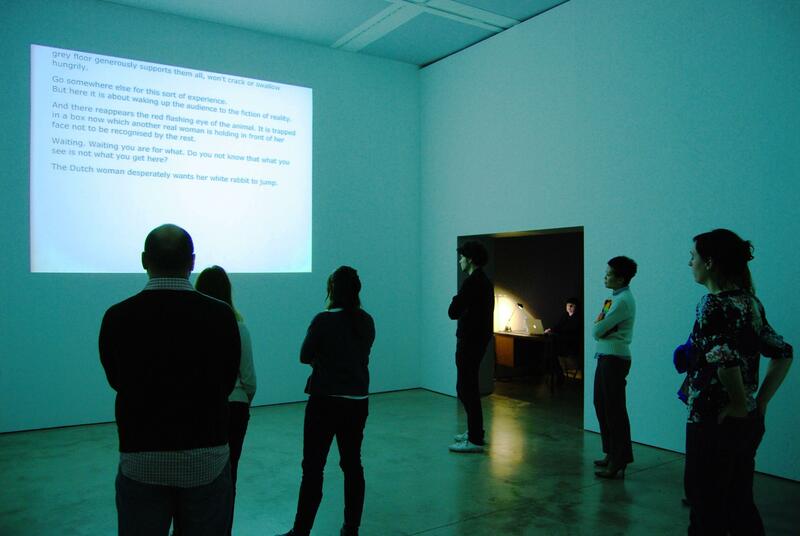 As they move around the exhibition space, a performer in the room notes down their behaviour on a computer; thus, the visitor comes face to face with their on-screen description, becoming aware of their role inside the performance. Thereafter, they can decide if they wish to continue taking part in the action – to continue being a performer – or to escape any form of interaction.